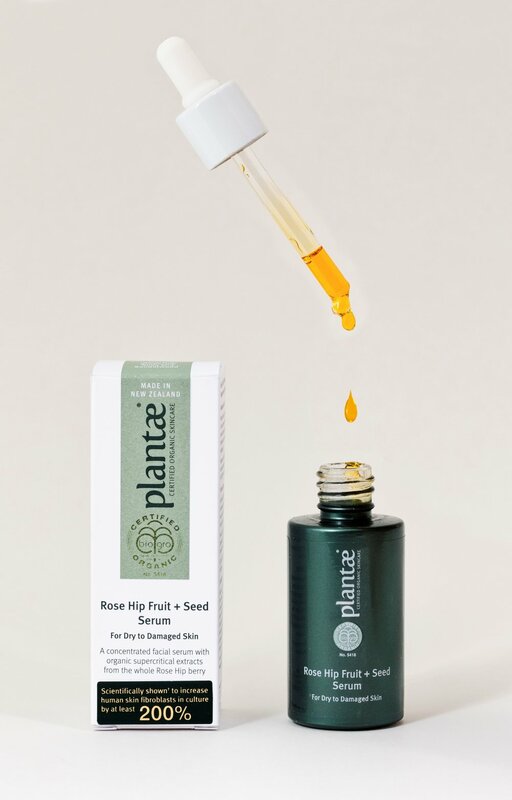 Plantae started as a boutique family business; it has grown into a successful international organic skincare company. One thing that has not changed is the company’s love and belief in organics and the transformational powers that organic botanies can offer. Plantae products are made from New Zealand-grown organic ingredients where possible. Based in Nelson, Plantae was founded by Carol Priest and her three daughters. Carol has a New Zealand Certificate in Science & Chemistry and over 28 years’ experience making organic skincare products. Our products offer women the opportunity to heal from the outside in, through treatments found only in the plant kingdom. We want to spread our products worldwide, but not just for commercial gain. One of our core values is to improve women’s health and natural beauty where organics may be less easily attainable. Therefore we focus on producing quality organic skincare that is accessible and not overpriced. We apply the same organic principles to skincare as we do to our food. We have always been passionate about what our families eat, and have made sure that they, and others, know that whatever they put on their skin is absorbed into their bodies. Some people have misconceptions about natural products. They think that by choosing a product labelled ‘natural,’ they are doing the right thing for themselves and their family. They are unaware of the harmful chemical residues found in some so-called natural products. There was a time when consumers didn’t need to think about choosing organic products because most producers didn’t use harmful, synthetic chemicals. But now many do. One of our biggest challenges is convincing people that the word ‘natural’ on a label just isn’t enough anymore. Choosing to buy certified organic products means a customer can be sure that they contain no nasty chemical residues. In addition to that, organic products are much better for the environment, on the farm and beyond. No toxic sprays pollute the air, and no build-up of synthetic chemicals occurs in soils and waterways. Organic farming practices maintain and replenish the soil. Because we still lack organic regulations in this country, any business in New Zealand can state that their products are organic, even if they lack independent certification. If consumers want to be sure, they need to choose certified organic skincare that contains certified organic ingredients. We are focused on making the best quality, purest organic skincare that looks after the environment and your skin. Being independently certified by BioGro confirms that our skincare products are devoid of nasty chemicals such as phenoxyethanol, parabens, mineral oils, SLES, artificial colours and fragrances, propylene glycol, PEGs, EDTA, triethylsilane, isopropyl alcohol and formaldehydes. We don’t allow GMOs, nor would we test on animals to develop our products. We place a lot of emphasis on ensuring the quality of our raw materials and end products, and on thinking outside of the norm. An example of this is our Brightening Camellia Face Polish. Our formulator Carol Priest was looking to source an effective exfoliant that no other cosmetics company was using. Of course she needed to ensure that the product would be biodegradable and certified organic. After extensive research, she discovered a factory in France that mills rice flour into perfectly symmetrical and identical spheres. Having such spheres ensures that users receive an even exfoliation, resulting in even and bright skin tone. The rice flour we have sourced is so safe that it is actually produced for food consumption, not cosmetics. As consumers are becoming better informed, they are becoming more discerning. They have a genuine fear of chemicals used in conventional skincare products, and are concerned about where and how products are produced. We chose to be certified by BioGro because of its commitment to upholding the highest standards. BioGro is the premier organic certifier in New Zealand and has developed the most stringent standard for health and body care products. Because of our own stringent processes and quality of raw materials, we don’t find it difficult to meet their standards. All of our products are formulated, made and bottled in our purpose-built factory in Nelson. Since our launch over six years ago, we have grown from a boutique New Zealand-focused company to one with strong and growing international sales. We are extremely proud to produce the best quality organic skincare while keeping it accessible. We are focused on providing as many people as possible with the opportunity to benefit from the healing powers of the Plant Kingdom (in Latin, PLANTAE).